Do you take photographs on camera, phone or tablet? Are you a beginner who would like to learn how to take better pictures ? Are you an expert who could share knowledge? Or do you just love taking pictures? and go on outings to special places. 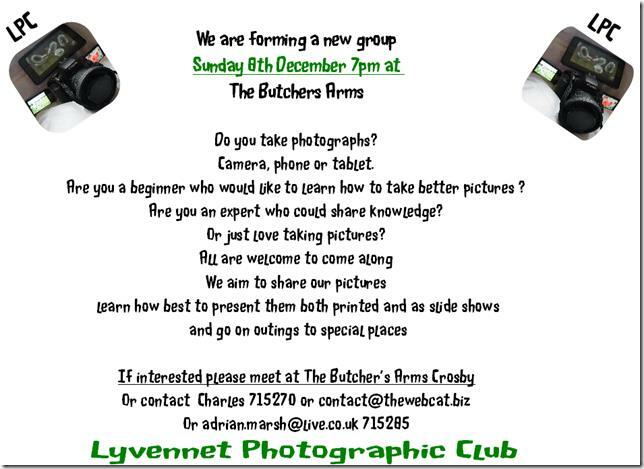 I used to be the webmaster for the Lyvennet Valley Community in Eden, Cumbria. I now live in Louisiana with my wife and assist remotely. This entry was posted in Uncategorized and tagged Lyvennet Photography Club. Bookmark the permalink.